Roger Federer breezed past Roberto Bautista-Agut Thursday afternoon, setting up a quarterfinal clash with Jo-Wilfried Tsonga. The Swiss maestro had no trouble finding his range against the Spaniard, with whom he’s played 12 sets, and lost none. In easygoing fashion, the 34-year-old Swiss fired six aces, winning 77% of points on his first serve, along with 29 winners. 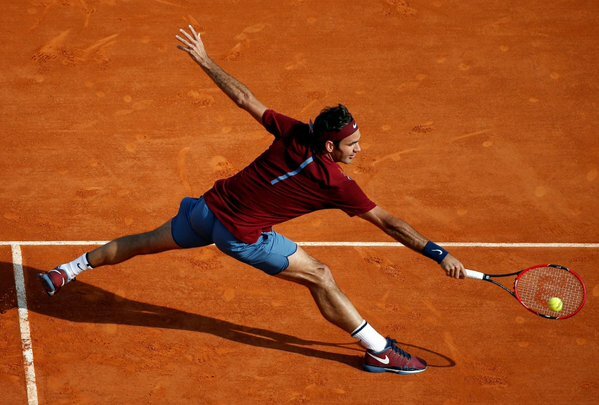 Federer won 18 of 25 points at net and converted 3 of 6 break point opportunities. Never troubles, the 17-time grand slam champion defeated Bautista-Agut 6-2 6-4 in 1 hour 8 minutes.